Today’s concert in the RBA consisted of more works by Saariaho performed by members of the COC orchestra and the Studio Ensemble. Both the the composer and General Director, Alexander Neef, were there. The four works performed were most definitely not “easy listening”. To me they seemed firmly in the tradition of modern continental European composition in the same sort of mould as Henze or Berio. The pieces were all very dense with complex tonality and dissonance and placing great demands on the performers. First up was Changing Light described by the composer as a dialogue between soprano and violin. It’s a setting of a text by Rabbi Jules Harlow and was commissioned in the wake of 9/11. It may be a dialogue but the instrument doesn’t support the singer in any way. 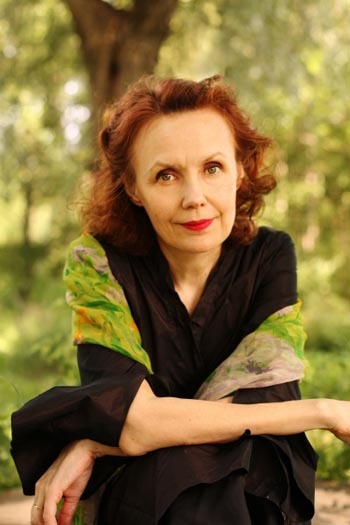 The violin is in a world of comples slides while the singer has some very tough intervals and the sustained, loud, high notes that characterize much of Saariaho’s vocal writing. That said in some ways this was the most conventional and accessible piece on the program. 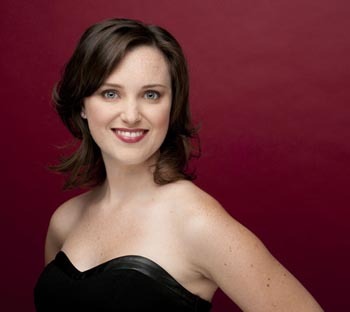 The performance by soprano Jacqueline Woodley and violinist Marie Bérard was first rate. Next came Mirage. This a setting for soprano, piano and cello of an English translation of a text from Mazatec healer and shaman Maria Sabina. It’s a rewriting of a piece originally written for soprano, cello and orchestra. The composer described this version as “more intimate”. It’s an uncompromising piece. Much of the piano part is played directly on the strings (rather than the keys) and the keyboard part is furiously virtuosic. The cello part is no easier with complex slides and atonality. The writing for soprano demands some characteristically difficult singing with something akin to Sprechstimme and some phrases that are whispered into the piano, using the piano as a reflector/amplifier. It’s quite a compelling piece. Again the performance was excellent. Jenna Douglas was on piano with Olga Laktionova on cello and Mireille Asselin singing. The third piece seemed to me even more demanding. Lonh is a longish setting for soprano with electronic tape of fragments of medieval Occitan poetry by Jaufré Rudel. It requires an array of vocal techniques; singing, semi-singing, modulated speech, whispers, the works really. It’s quite haunting and the electronic tape which combines nature noises, bird sounds and fragments of spoken Occitan is very atmospheric. This was another fine performance by Jacqueline Woodley. We were told that this was composed as a “study” during the process of conceiving L’Amour du Loin so I guess it serves as an introduction to that sound universe. The final piece was an early work for mezzo and soprano; From the Grammar of Dreams to texts by Sylvia Plath. It was described as “tenser” by the composer and to my ear sounded most influenced by the fashionable idiom of the 1960s and 1970s. It uses just about every vocal technique in the book and interweaves fragments of two different Plath poems; Paralytic and The Bell Jar. The composer tells us that dreams are “non linear” and that’s certainly reflected in the piece. Rihab Chaieb and Mireille Asselin were the singers and I thought their voices blended really well. 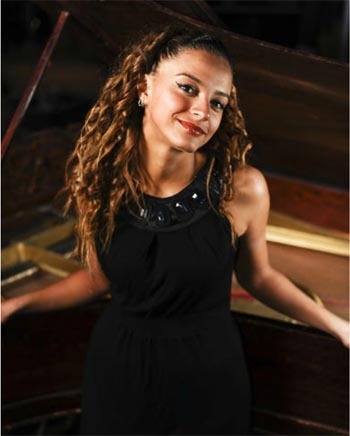 The mix of Mireille’s very bright soprano with Rihab’s much darker tone was very pleasing. I was really impressed with everyone on show today. It’s hard to express in words just how difficult this music is to perform. Here we had young singers and, I think, equally young instrumentalists putting on a truly impressive show. In particular, I was intrigued to see how much Mireille has come on. I first heard her sing a couple of Servilia’s arias from La Clemenza di Tito and my impression was of a perfectly competent light lyric soprano but nothing special. The last couple of times I have heard her she seems to have grown quite a bit musically and her performances today were top notch.